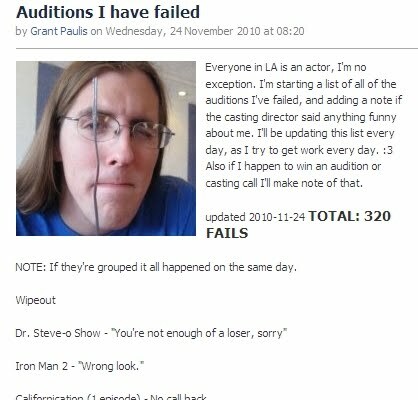 As none of you may know we here at HotDamnTV pride ourselves on having a crack team of in house failed actors. Your intrepid blogwriter and sommelier extraordinaire, Grant Paulis chief among them. My formal acting training consists of taking Intro To Drama in my senior year of high school (Go TITANS '03 Seniors rule!). The two things I learned in that class were: never pay for auditions and always have a comedic and dramatic monologue prepared for any audition. The following is a sampling of the monologues I have prepared should the need arise to fail an audition in person. Mr. Show is some really top notch stuff. I'm sure if all of the actors weren't so hideous they'd be getting more roles than Jonah Hill (Did you see what I did there? He's a bit hefty so he's got fat rolls. He's also been in quite a few hit movies recently. Ask your mother about getting roles, they should call that ho a bakery on account of all the rolls she's got.). I always try to do something with the thought in mind, "Would I find this funny if I was watching it?". Doing a monologue just running around a casting director's office shouting at people would make my day. This would be almost as much fun to do as "The Audition". Its not easy being a failed actor, but at least I dont work at a gas station.